„Angels for Children“ is closely cooperating with partners from the education system to guarantee best teaching. We have been working together with the Lao German Technical College since 2013 and from 2015 onwards the cooperation has become more intensified. 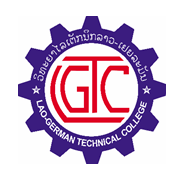 The organization`s concern is to take care of the children’s professional future after they have finished middle school, which will be achieved through good and needs-based preparation in the schools of the organization and the seamless transition into professional training at the Lao German Technical College. For this purpose, “Angels for Children” has developed the “Recruitment- and Training Program (RTP)” together with BHS Corrugated and the Lao German Technical College. In this program, the school graduates will be encouraged to start a professional training to become industrial electricians or machine and plant operators. Since 2015 “Angels for Children” is cooperating with the University of Education Karlsruhe to improve the English classes in the schools. In the project “Teaching English in Laos” students and alumni of the college teach the Lao English teachers about pronunciation, methodology and didactics. In this way, they contribute to maintain working and effective English lessons. Through joint workshops, activities and teacher lessons modern teaching methods are adapted and introduced to the Lao culture to offer the best possible English lessons to the pupils. To document the work, the course of the project, the backgrounds and the participants the organization and Teacher Training College Karlsruhe operate the English blog “The Laos Experience”. Since 2012 “Angels for Children” is also cooperating with the Augustinus-Gymnasium Weiden. For this purpose, a project seminar has been established in the upper class. This project seminar tries to raise the awareness level of the organization by developing brochures and the homepage. Thus, the project seminar supports the collecting of donations. Therefore they organized a charity run in July 2014, for example. Also, the teachers of both the Lao schools and the Augustinus Gymnasium visited each other in the years 2014 and 2015. 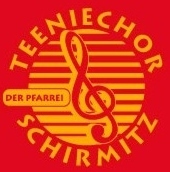 Besides the Augustinus Gymnasium, the Teeniechor Schirmitz is also a cooperation partner. They organize charity concerts every year and give their intakes to the organization. If you are interested in cooperating with us, too, then contact us.